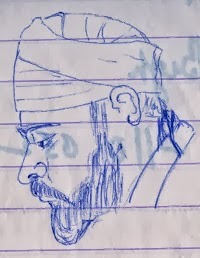 Since childhood I have been interested in drawing. 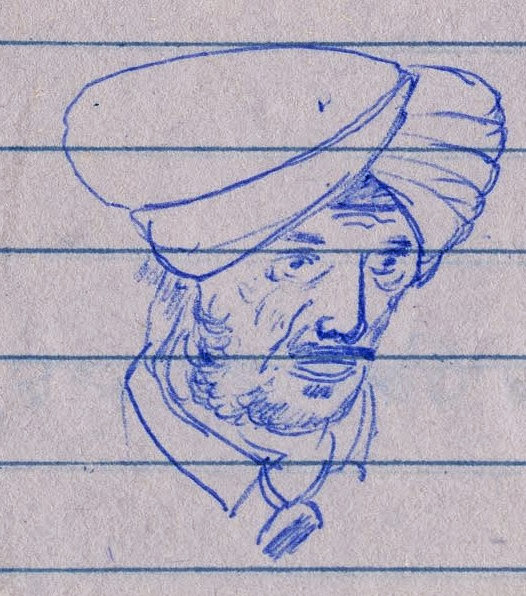 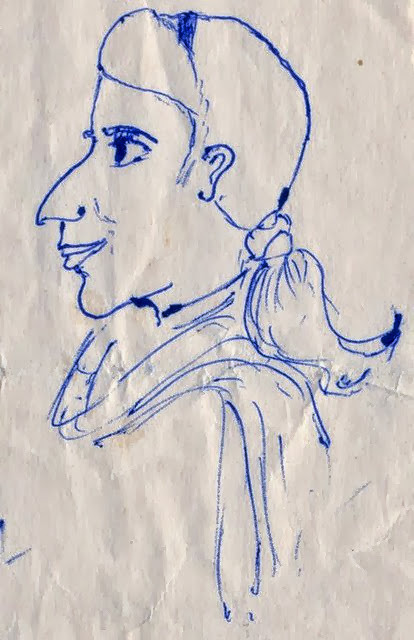 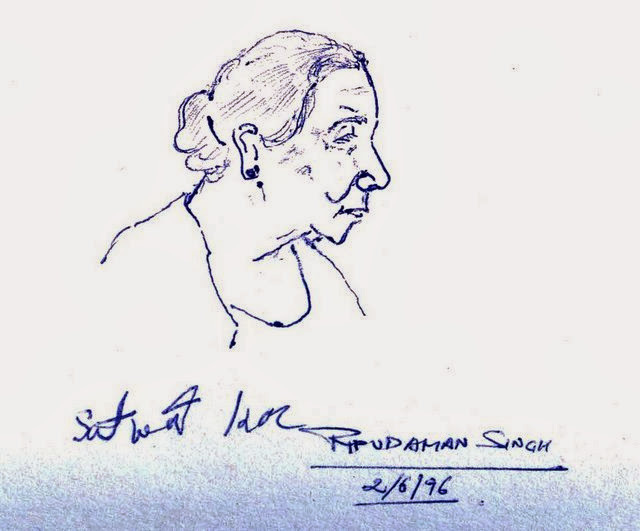 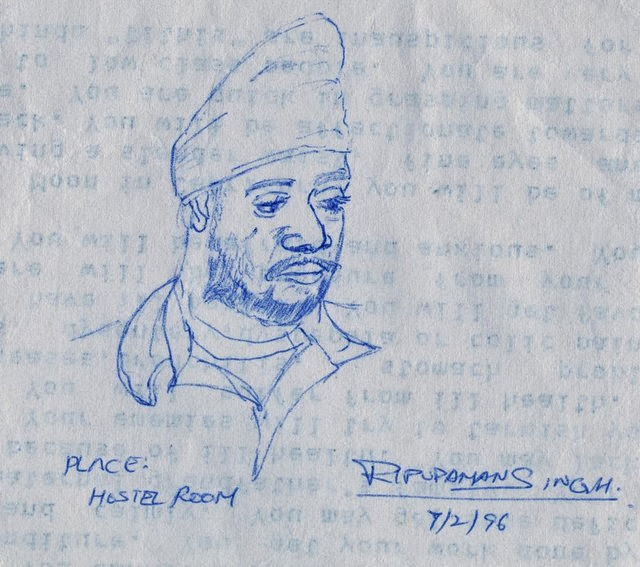 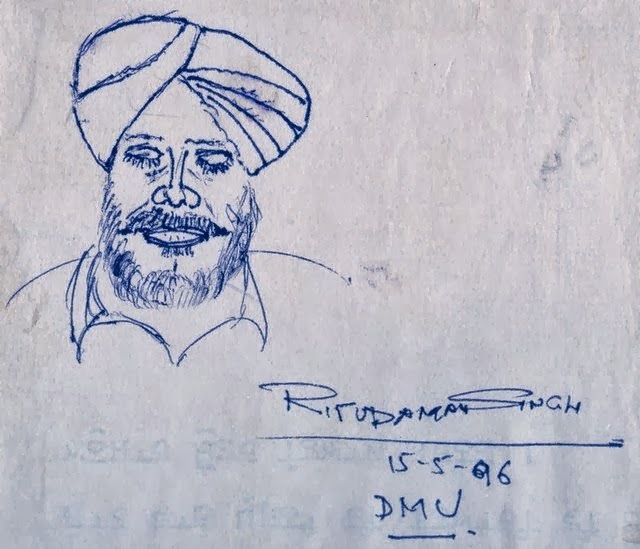 But years 1996 and 1997 saw a surge in something interesting – I started making sketches of people around me. I just needed some inspiration, a piece of paper and a pen…and here it went. 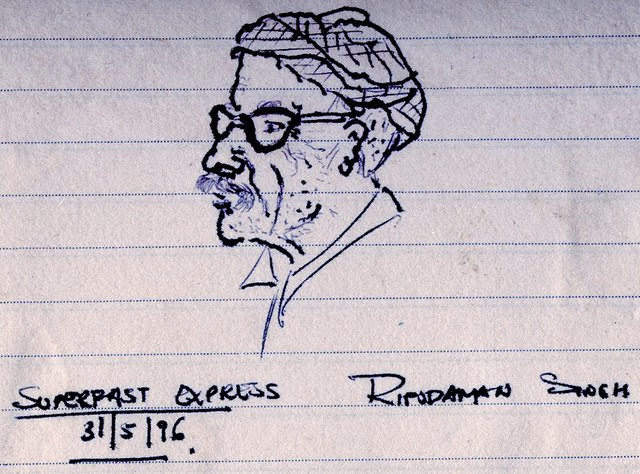 Some of the sketches were made during my train journeys. 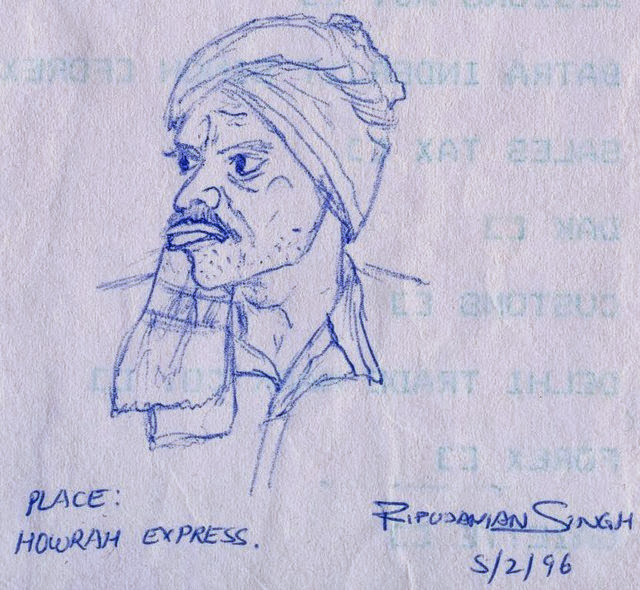 You would notice that some sketches were made even on the pieces of rough paper…such was the interest. 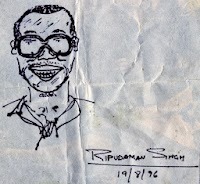 Even though the surge is gone I continue to doodle and, in recent years, have designed the logos for a few organisations and websites. 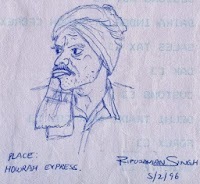 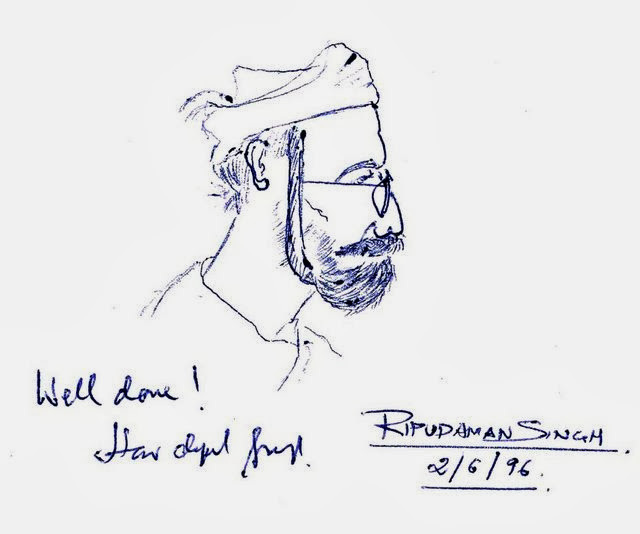 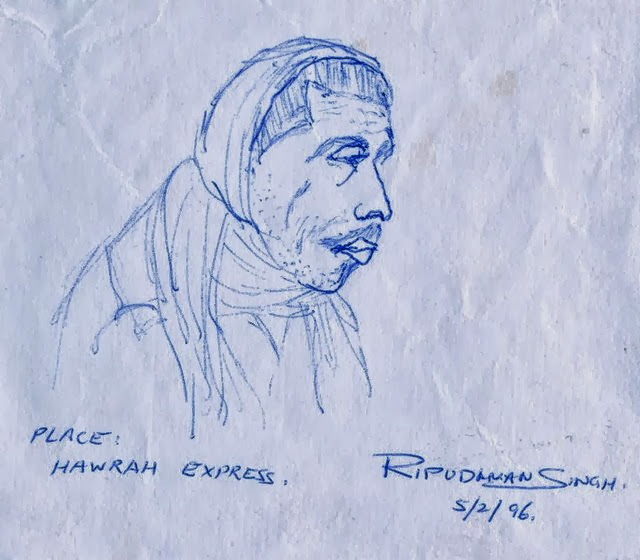 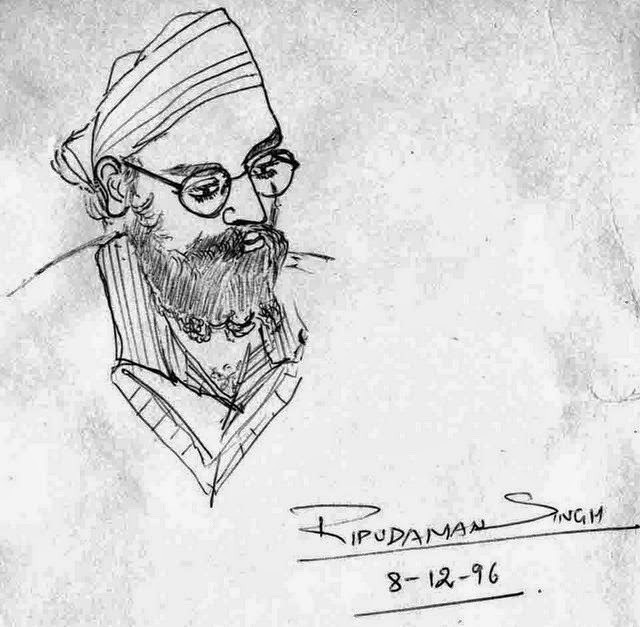 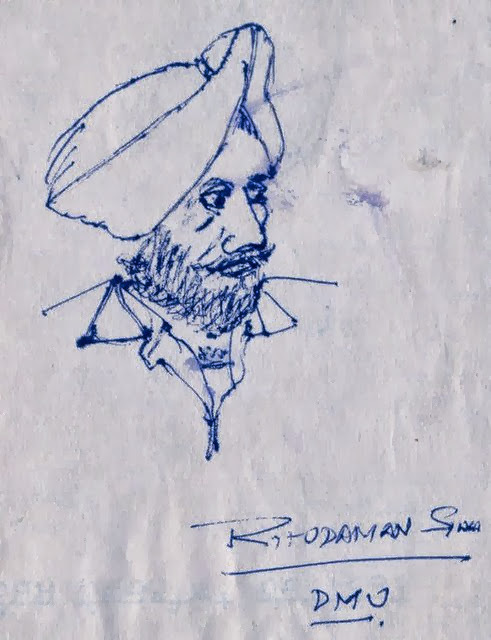 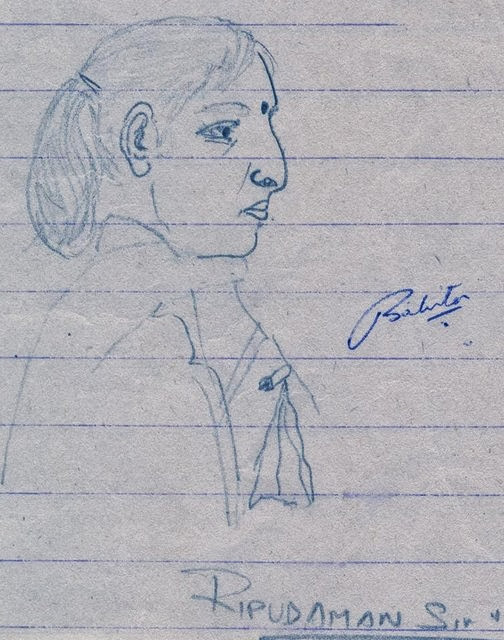 THIS SKETCH WAS MADE ON ONE OF MY MANY JOURNEYS ABOARD “HOWRAH EXPRESS” BETWEEN JALANDHAR AND AMRITSAR. 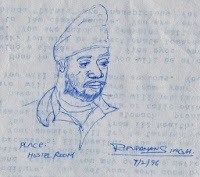 THIS IS A PICTURE OF A MIGRANT WORKER FROM THE EAST. 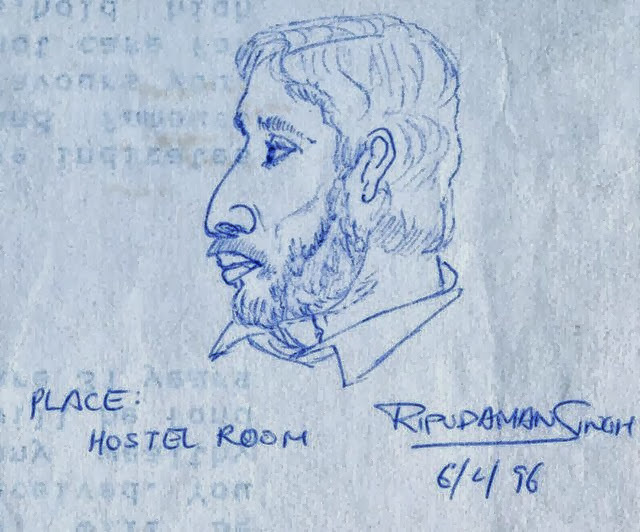 HE WAS EITHER COMING FROM HOME OR GOING HOME. THE MELANCHOLY ON HIS FACE SUGGESTS THE FORMER. 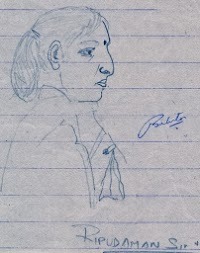 JASKIRAN WAS MY SENIOR IN GNDU. 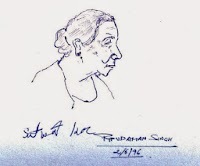 I MADE THIS SKETCH ON BOARD A TRAIN TO AMRITSAR. 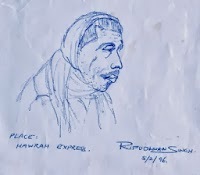 HE WAS ALSO TRAVELING IN THE TRAIN. HE WAS SITTING JUST IN FRONT OF ME AND SLEEPING. 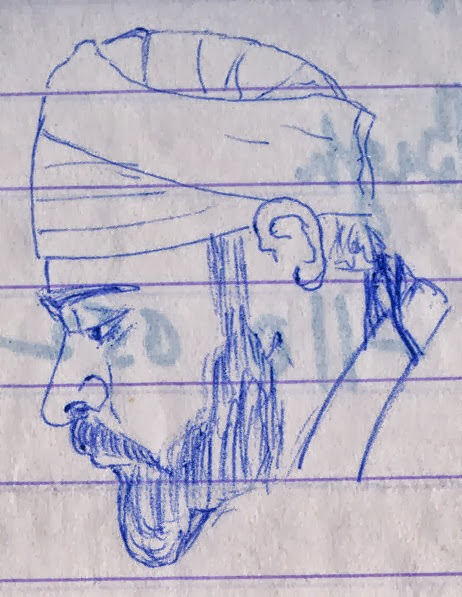 JASWINDER DID HIS MCA FROM GNDU. 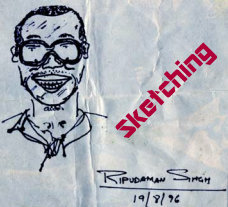 I MADE THIS SKETCH ON MY WAY TO DELHI FROM JALANDHAR ABOARD “SUPERFAST EXPRESS”. 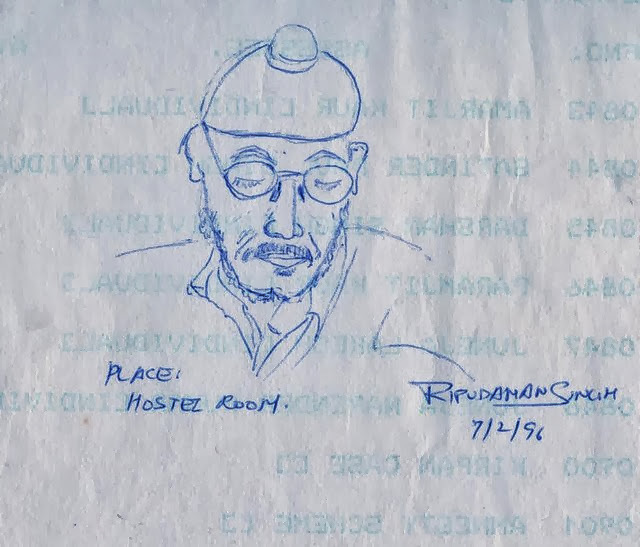 MY MOM WHO WAS WITH ME WANTED ME TO GO TO THIS OLD MAN AND SHOW HIM HIS SKETCH, BECAUSE SHE THOUGHT IT RESEMBLED HIM A LOT. 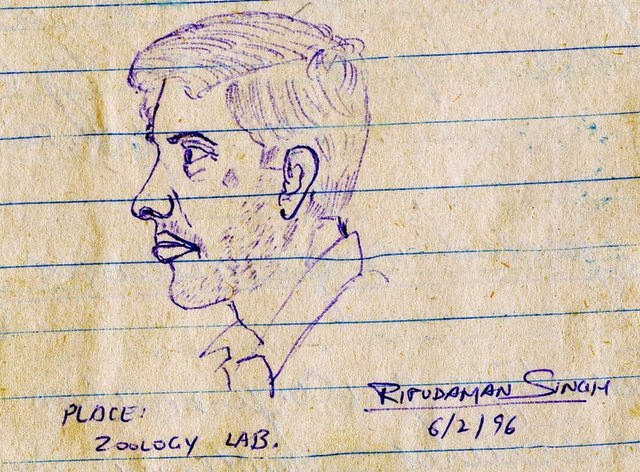 GEORGE WAS AN MSC STUDENT OF HUMAN GENETICS AT GNDU. 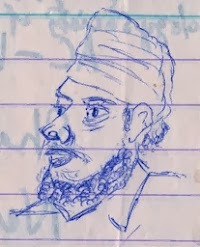 HE WAS FROM KENYA. 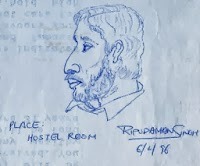 SRIKANT BONTHU WAS AN EXCHANGE STUDENT AT GNDU FROM ANDHRA PRADESH. 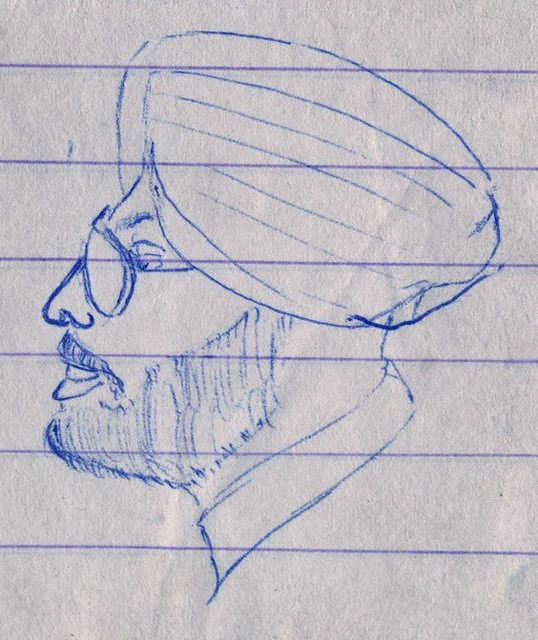 HE DID HIS MASTERS PROJECT AT OUR DEPARTMENT IN AMRITSAR. 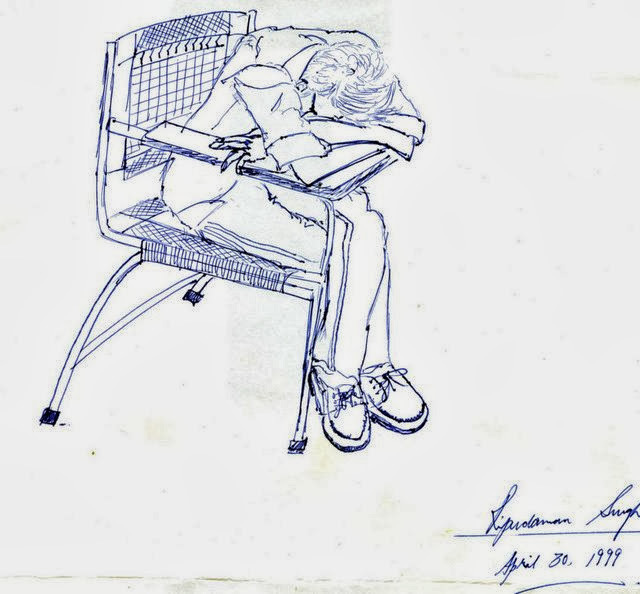 HE WAS TAKING A NAP IN THE LABORATORY. 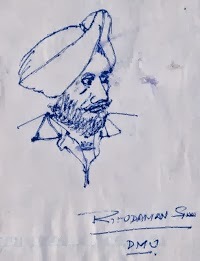 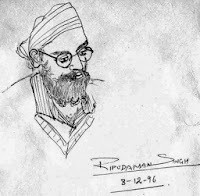 SATNAM WAS MY SENIOR AND MY ROOM-MATE AT GNDU. 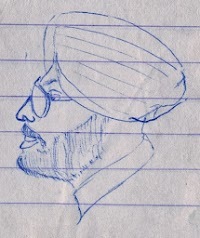 JAGPREET AKA “JAGGU” WAS A CLOSE FRIEND FROM GNDU. 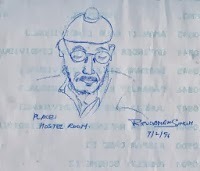 HE WAS MY BATCHMATE PURSUING HIS DEGREE IN BIOCHEMISTRY. 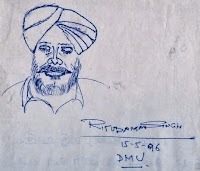 HE WAS OUR PUNJABI TEACHER AT GNDU.